I refer to the recent controversy involving the case of S. Deepa who was granted custody of her two children by the Seremban High Court last Tuesday. 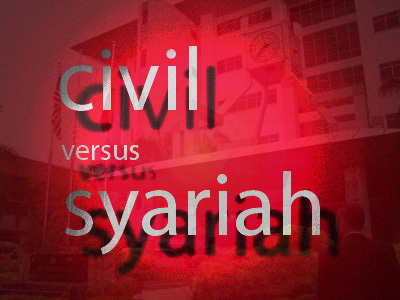 The Shariah Court had earlier given custody of the children to her former husband, Izwan Abdullah. Subsequently, her former husband took one of their children despite the recent custodial order by the High Court. On the matter, the Inspector-General of Police Khalid Abu Bakar said police were unable to act on the matter because of the conflicting decision by the High Court and the Shariah Court. Under Article 121 (1A) of the Federal Constitution, the High Court has no jurisdiction in respect of any matter within the jurisdiction of the shariah courts, which deal with the shariah laws. However, there seems to be an overlapping jurisdiction of the High Court and Shariah Court on the matter involving the conversion of a spouse when the other spouse refuses to convert and consent to the conversion of their children. In 2009, cabinet had decided against unilateral conversion of minors, that is, both parents must agree before a minor is converted. However, it’s only a cabinet decision and not enacted in our laws. The laws must be clear to ensure the Shariah Court cannot have jurisdiction to convert minors without the consents of both parents. The Shariah Court should also not have jurisdiction to grant custodial rights of minors who are not converted with the consent of both parents. As such, Gerakan Youth hereby urge the Parliament to enact laws to remove the overlapping jurisdiction of the High Court and Shariah Court on this matter. Mr. TKL, what had Gerakan , MCA and MIC been doing previously when you were all in a position to play a prominent role to protect the interests of the Rakyat. Its because of the lack of sincerity and actions on the part of your leaders that our Country situation has deteriorated to such messy situation.